Sorrel and stinging nettle in abundance. One has to over indulge because the season will end soon enough. 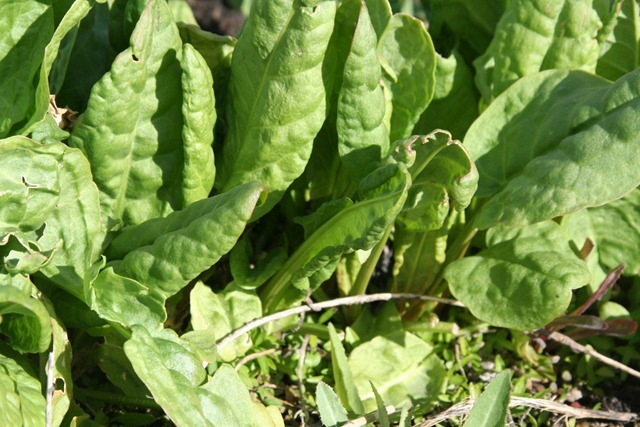 This cool spring – it is not your imagination – has provided perfect growing conditions for nettle and sorrel. This recipe is actually very easy. The crepes can be made in advance and so can the sauce. 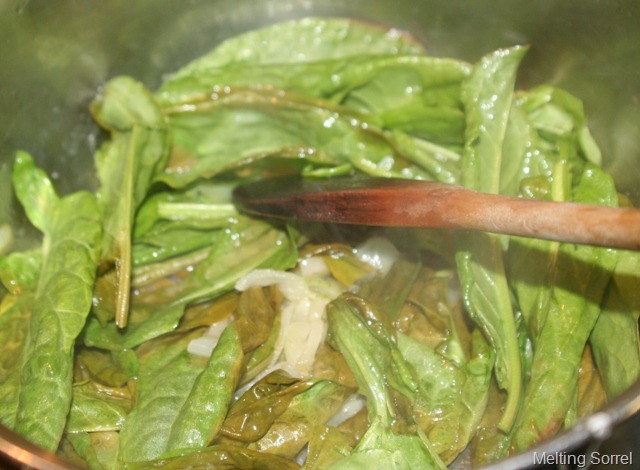 This is a delicious sauce – but then I am partial to sorrel. I use a well seasoned cast iron griddle for making crepes. You can use your favourite crepe recipe. Replace some of the unbleached flour with some buckwheat flour if you like. 1. 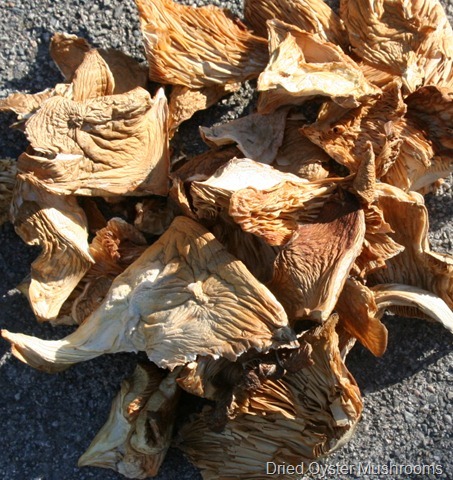 Cover dried mushrooms with 2 1/2 cups boiling water. Set aside for one half hour to reconstitute. Remove mushrooms saving the mushroom liquid. Squeeze mushrooms dry. 2. 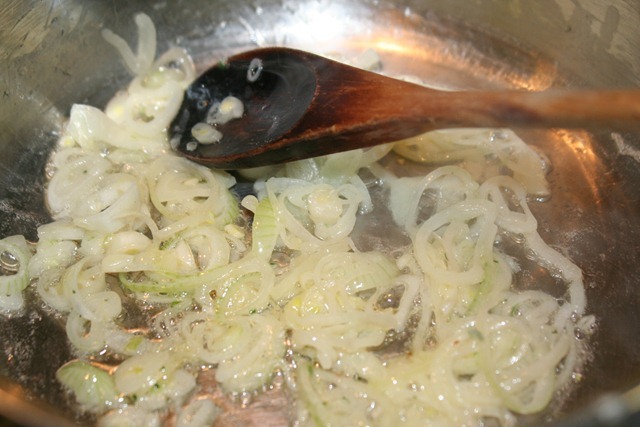 Melt 1 tablespoon butter; sauté shallots until limp but not browned. Add sorrel and stir down until sorrel has “melted”. Add the mushroom liquid and bring to a boil; turn heat low and simmer, stirring occasionally, for 5 minutes. Remove from heat. 3. 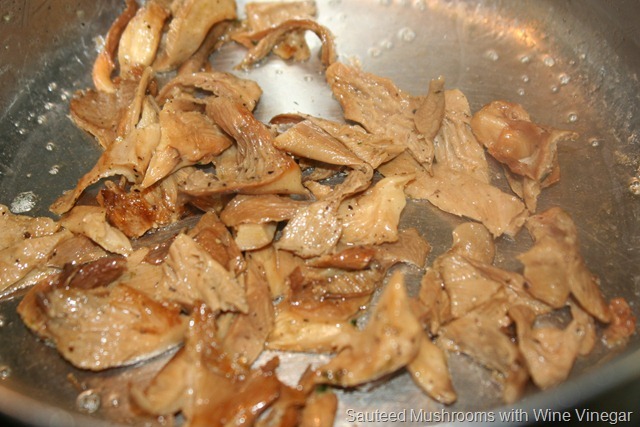 Melt one tablespoon of butter in a pan; add mushrooms; stir in vinegar and sauté until browned. Remove mushrooms from pan and set aside. 4. Melt remaining 1 tablespoon of butter in mushroom pan; add flour and cook for 2 minutes. Add the sorrel mushroom liquid and whisk into roux. Add the light cream, creme fraiche and mushrooms; salt and pepper to taste. Bring to a boil, stirring occasionally for 10 minutes. 1. Using a whisk, beat eggs until light. Gradually add milk and flour alternately (3 dry and 2 liquid additions) beating until smooth. Beat in melted butter and salt. Cover batter and chill for one hour or overnight. 2. When ready to make crepes, stir in prepared stinging nettle. 3. Heat prepared pan over medium heat. My pan holds 1/4 cup of batter. Your choice of pan may hold 2 tablespoons of batter. Pour batter into hot pan. 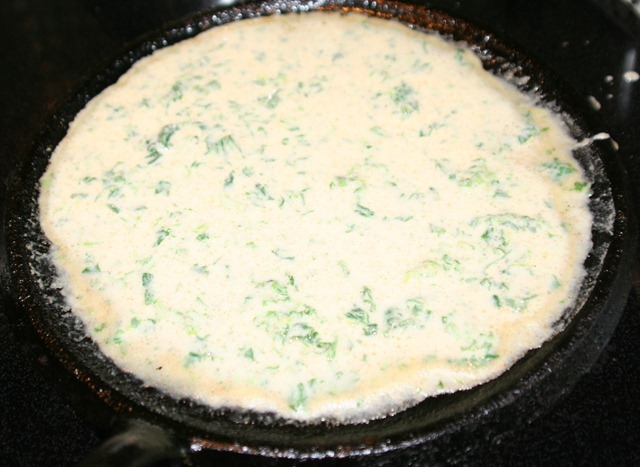 Tilt pan to cover the bottom with a thin layer of batter. Cook until bottom is lightly browned 2 – 3 minutes. The first crepe does not usually turn out very well. Use the first crepe to find the right temperature and to determine if the batter is too thick. It is not necessary to brown the top side. Remove crepe from pan and place on counter top to cool. Repeat with remaining batter. 4. Crepes can be made in two days in advance or frozen. Stack between layers of waxed paper. 5. Fold crepes in half and then in half again. 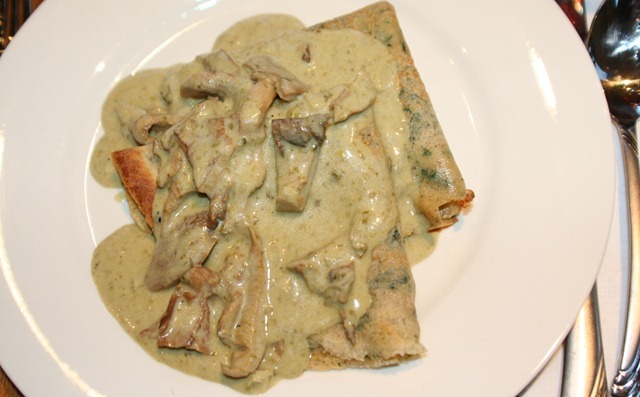 Ladle sorrel mushroom sauce over crepes and enjoy. What you accomplish with these recipes I share with you is what makes me eager to share more. Thank you for following.